Pokémon Omega Ruby and Alpha Sapphire provide just the right amount of nostalgia to cater to fans of the old games, and include just enough new material to spark the curiosity of newcomers. The formula is still solid, and there's little reason to change a winning formula. Back when Pokémon Ruby and Sapphire were released in 2003 it was the third time we were given a new world full of Pokémon, but the first time it appeared on the Game Boy Advance. It was the first time a main-series Pokémon game was in full-color, it was the first time we could do double-battles, the first time Pokémon had abilities, the first time each version had its own team of antagonists and the first time we could play with Mudkip. The games felt familiar, but at the same time offered so much that we hadn’t seen before that it was a delight to once again defeat all the gyms, become the Pokémon League Champion and collect all the (then 389) Pokémon. Soon after the release of Ruby and Sapphire, Game Freak gave us Pokémon Fire Red and Leaf Green and that marked the first ‘remake’ within the Pokémon franchise. That trend has continued to this day, where with every new generation there’s also a remake of an older title. 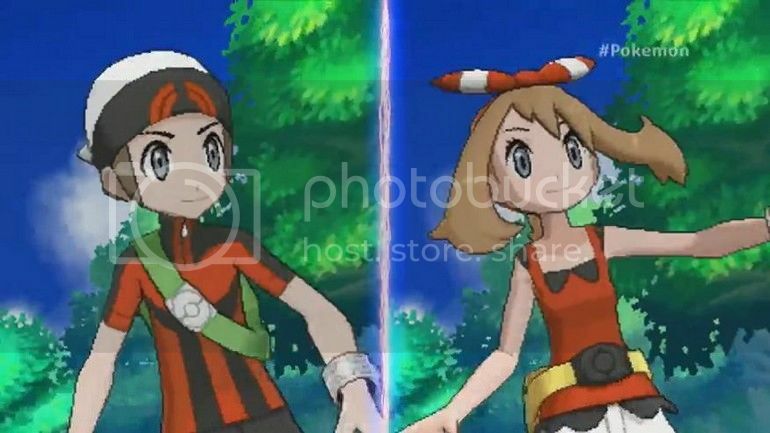 And now it’s time for Ruby and Sapphire to be remade, and the result is Pokémon Omega Ruby and Alpha Sapphire. Being remakes, Omega Ruby and Alpha Sapphire inherently play a lot upon a feeling of nostalgia for the original games. Both games continue the precedent that was set by Pokémon X and Y. They use the same engine and graphics as the earlier 3DS games did, with a few minor updates here and there. The storyline is largely unchanged from the originals, but expands upon it somewhat, mostly during the later parts of the game. The quality of Pokémon X and Y is fully maintained and carried over into these new iterations, and the game still looks amazing. 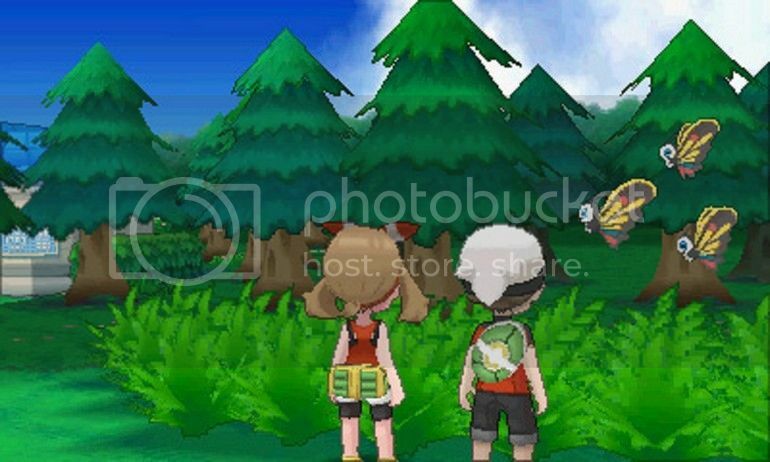 It’s just as great to walk through Hoenn the way it looks now as it was when we explored Kalos in the last games. They didn’t change the fact that outside of battles, there’s no use for the 3D function and that’s a shame. It would’ve been a nice upgrade if the game was actually fully enjoyed in 3D if so desired, but most of the game is still played without making use of the platform’s signature feature. It’s no wonder both games were released as bundles with the 2DS instead of the 3DS XL. The number of Pokémon has increased to unreasonable proportions through the years, and we’re currently at 719 all together. Actually realizing the series’ famous catchphrase ‘Gotta Catch ’em All’ became close to impossible once we needed multiple games across multiple platforms to do so. 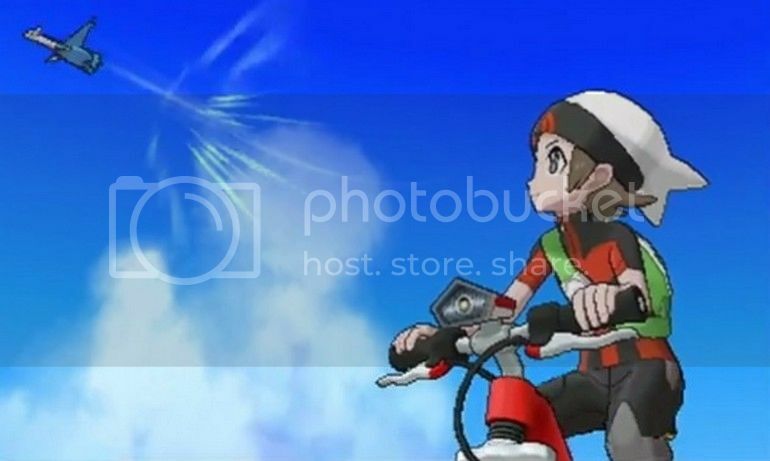 A great benefit of Omega Ruby and Alpha Sapphire is that the later parts of the game introduces an all-new feature that allows us to catch many rather elusive Pokémon: soaring the skies of Hoenn. This feature wasn’t in the original games, and it’s probably the freshest thing that was put into these remakes. It allows players to traverse the world of Hoenn in a way we couldn’t before: on the back of a flying Pokémon. Doing so opens up new areas where lots of legendary Pokémon are to be found, even those from other games such as Raikou, Entei and Suicune or the musketeer trio from Black and White. This, together with the trading compatibility between ORAS and X and Y, allows us to catch quite a lot of Pokémon this time around, with a lot less need for out-of-game means. There’s also an additional story part called the Delta Episode that revolves around stopping a meteor impact. It also ties the Mega Evolution phenomenon into the world of Hoenn (even though its made available to players way earlier in the story). 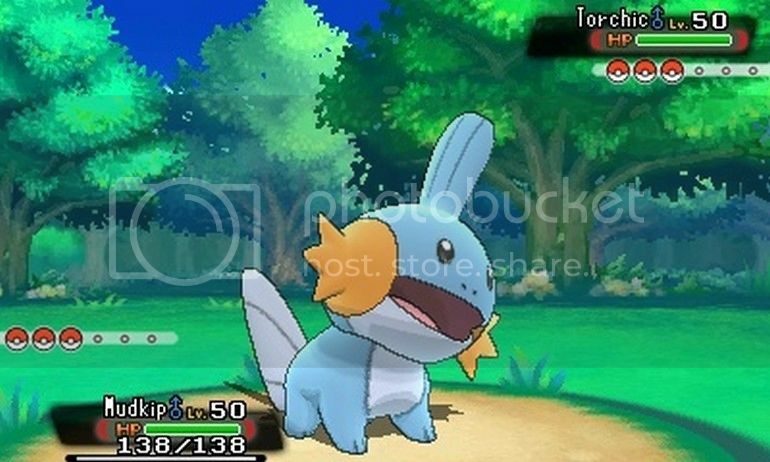 That brings us to another new thing within ORAS: new Mega Evolutions. A fair share of of new Mega Evolutions are present within the game, among which are Mega’s for Pidgeot, Slowbro, Steelix and Metagross, and of course the three Hoenn starters, which means a nice powerup for our Mudkip. Mega Evolutions are a nice extra, but are of course mostly important for the competitive aspect of the game. Nintendo and Game Freak have been supporting the competitive scene a lot more since X and Y now that ranked battles through WiFi are actually a real thing. Omega Ruby and Alpha Sapphire are looking to add to this and continue the strong support for a healthy competitive scene. Not just the new Mega’s, but also the availability of old Mega Evolution items, hidden abilities and welcomed moveset changes provide new team-building options and depth to the carefully sculpted metagame. It’s a shame that ranked battles still don’t support 6v6 battles and that unlike the original games it’s still impossible to actually have four-man battles using 6 Pokémon each, but then again it’s great to see Nintendo actually endorsing the competitive side. A lot of these little changes are important – or relevant even – to those who are interested in playing Pokémon in a such a fashion, but it’s great that it’s all there. 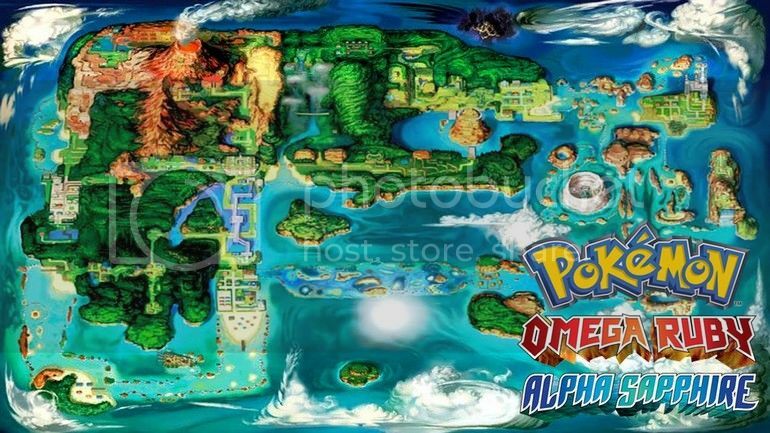 It would have been great if the games had taken some more from Pokémon Emerald, especially in regards to the gym Leaders and Pokémon League, as these leave a lot to be desired in ORAS – this time around the gym fights are probably the dullest and least challenging they’ve ever been with low levels, disappointing Pokémon line-ups and uninspired gym designs. They are in fact quite faithful to their original counterparts in Ruby and Sapphire, but with Emeralds excellent updates to these fights we had forgotten they were so dull before. In the end it’s just a minor gripe at an otherwise solid title however. Pokémon Omega Ruby and Alpha Sapphire are excellent games with high production values that provide hours upon hours of fun. Collecting every Pokémon, taking on the League challenge and creating the perfect team to your liking is still as fun as ever, but it’s also as familiar as it has ever been. It invokes a great deal of nostalgia for the old games and faithfully recreates them with just enough new additions to make it all interesting. Pokémon has always been a franchise that’s pretty much stuck in traditions and keep changing only very little with each new iteration. This means ORAS provides us with very little surprises, but also won’t dissappoint. Fans know exactly what to expect and will enjoy the game regardless of whether they play competitively or more casually. The end result is a set of solid games that are guaranteed to deliver great entertainment value, but will do very little to shake the foundations of Pokémon game design.